The Dallas-Fort Worth metal community rallied last night in support of one their own, Ms. Leslie Corbin. A long time fixture of the scene and currently battling ALS, Corbin and her metal family were gathered in defiance of the disease and determined to prove that none of us will go down without a fight. With all door proceeds going toward her treatment expenses, as well as raffle and silent auction, last night hopefully helped her on her road to wellness. Considering that Ms. Corbin has organized several fundraisers to help others in the metal community, as well as creating the Fort Worth Rockers for MS foundation, it was no surprise that so many turned up at the Rail Club last night. Iron Jaw kicked things off with a ferocious set of power metal. The band, including Rick Perry (former Gammacide, Warbeast) on guitar, draws on the New Wave of British Heavy Metal/classic metal influences to deliver songs that favor dynamics over typical metal riffs. Don’t be mistaken, there’s plenty of riffage on display. But, their songs are finely crafted and vocalist Rich Stafford can howl with the best of them. The Black Moriah followed with their brand of dark metal. Featuring Joey Gonzalez (Warbeast, Phil Anselmo & the Illegals, Superjoint) behind the kit, the band fired through their set with a take-no-prisoners mentality. The band was in lock-step throughout their set and offered those on hand a high energy, louder-than-hell performance. Iron Jaw @ The Rail Club, Fort Worth, TX. Photo by DeLisa McMurray. The Black Moriah @ The Rail Club, Fort Worth, TX. Photo by DeLisa McMurray. Chemicaust was up next and they delivered a typically electric set. With their newly released first LP, Unleashed Upon the World, out now, the band sounded confident and inspired. Tracks like “Genocide” and the title track burned through the crowd as their guitarists solos and leads weaved into each other and out the back of your head. 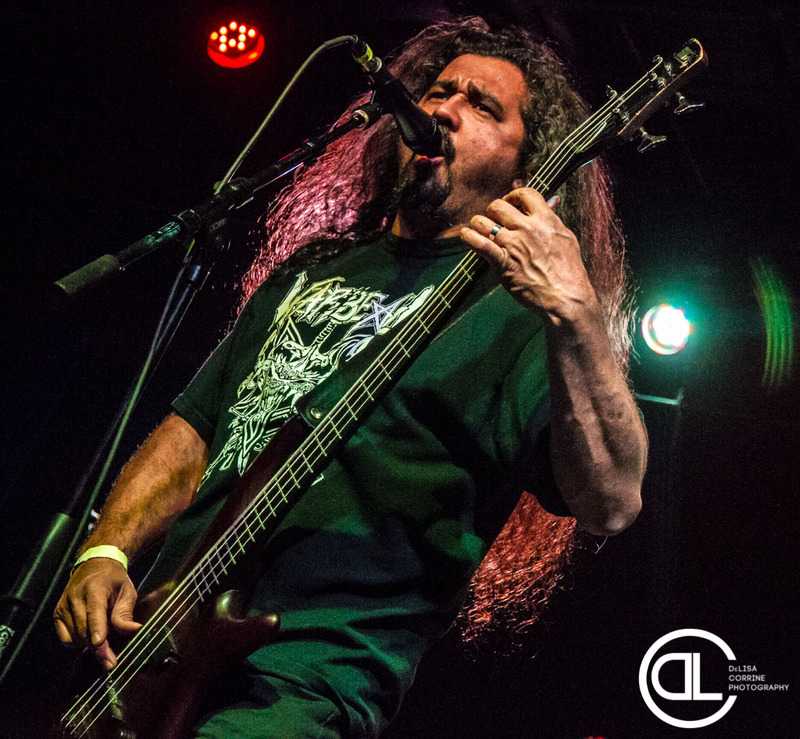 If you think thrash metal is dead in Dallas-Fort Worth, you haven’t seen Chemicaust. And that’s a shame. Kill for Mother followed Chemicaust, brandishing their instruments like weapons and determined to blow the roof off the Rail. Brutal, yet melodic, the band impressed on all fronts. Vocalist Jason Taylor roared as his band tore through their set like a dog off its leash. Their songs are complicated, yet accessible. As you take in what each musician is doing during a song, it won’t take you long to discover that these are skilled musicians, not just a bunch of metalheads masturbating their instruments. Chemicaust @ The Rail Club, Fort Worth, TX. Photo by DeLisa McMurray. Kill for Mother @ The Rail Club. Photo by DeLisa McMurray. The always fantastic Rabid Flesh Eaters closed out the evening with a final set of thrash metal that saw just about every member of each of the other bands at the front of the stage banging their heads. Indeed, despite their longevity in Dallas-Fort Worth, RFE remains one of the most underrated bands on the scene. Last night, their set was flawless. Each member of the band was in top form and Mike Taylor’s solo on “Morbid Beast” remains one of the most exciting pieces of music to witness live. Rabid Flesh Eaters @ The Rail Club, Fort Worth, TX. Photo by DeLisa McMurray. If you couldn’t make it to the show last night to support Leslie Corbin, you can still help by donating what you can to her fundraiser. If you were there, your ears are still ringing today.